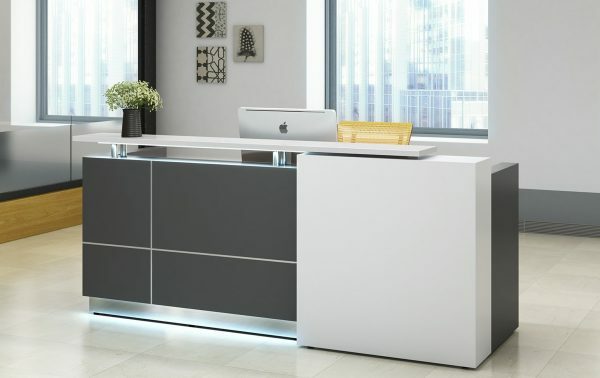 Part of our popular QT Reception Series, the QT-101 offers a modern and stylish look to your office space which your guests and visitors can admire everytime they come in. 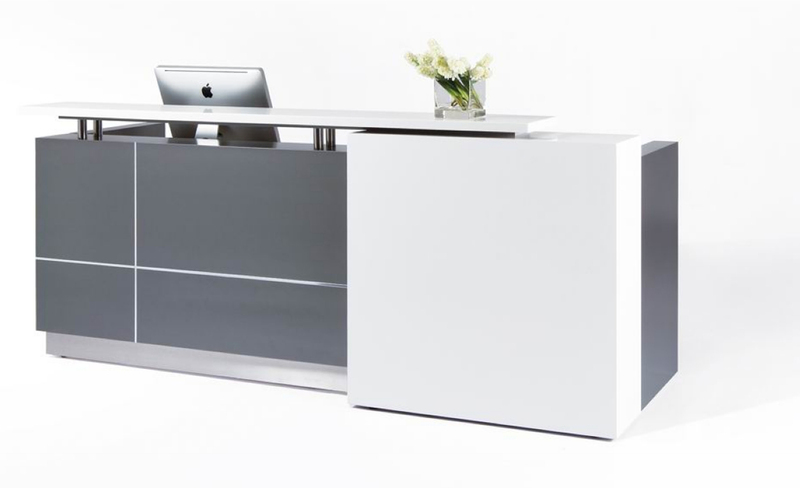 Available in two sizes, 98”L X33”W X41”H and 79”L X33”W X41”H, the QT-101 can fit in and beautify most spaces. 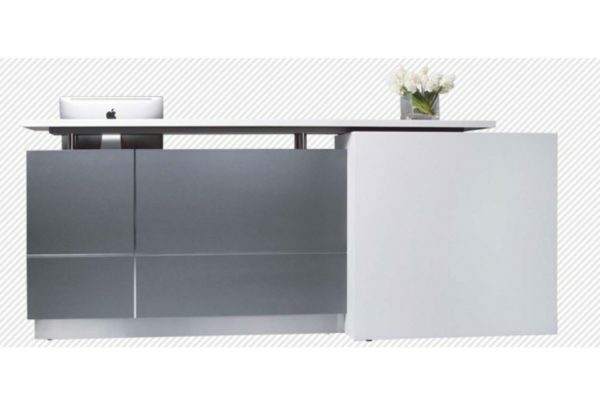 This product incorporates a solid surface counter top with an exquisitely brushed stainless steel trimming which come together to revolutionize your reception space and give your company the first impression it deserves. For an additional high end look, the QT-101 can be equipped with LED lights which further enhance its look and attraction. 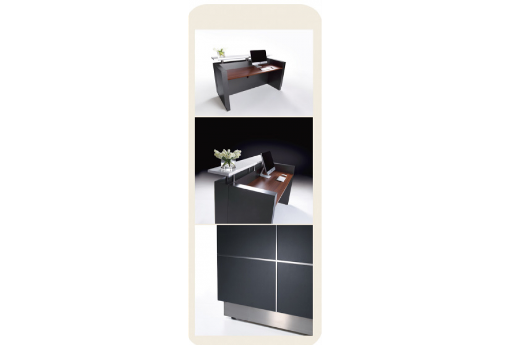 Although we at Golden Wind Furniture Co. LTD. offer an installation service for all our products, this reception’s easy assembly process along with our one on one customer support make the QT-101 a do-it-yourself project and shippable to any location in North America as we can walk you through the installation process and clear up any questions or concerns you might have along the way.